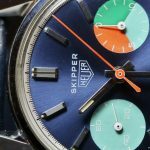 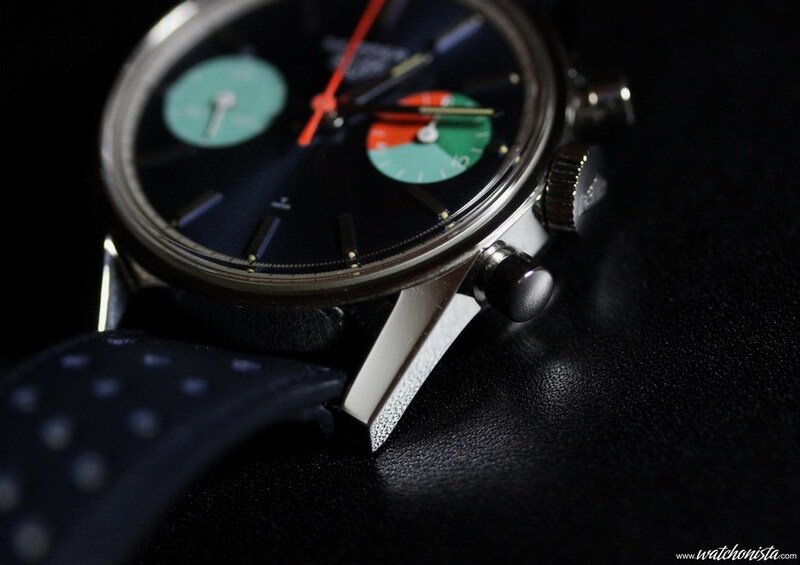 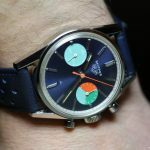 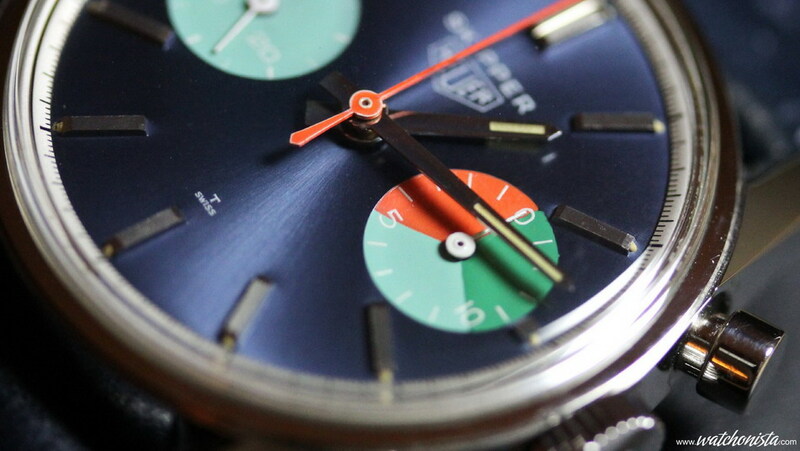 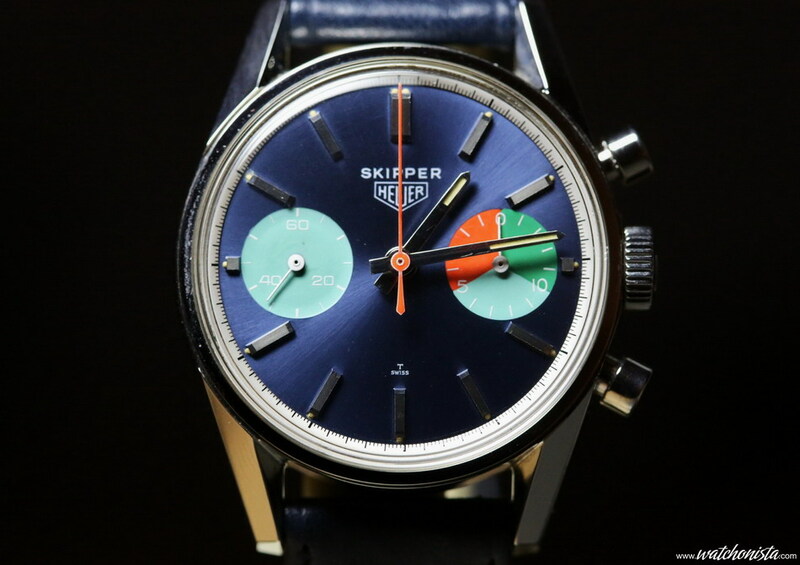 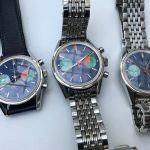 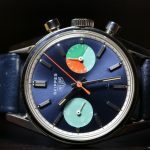 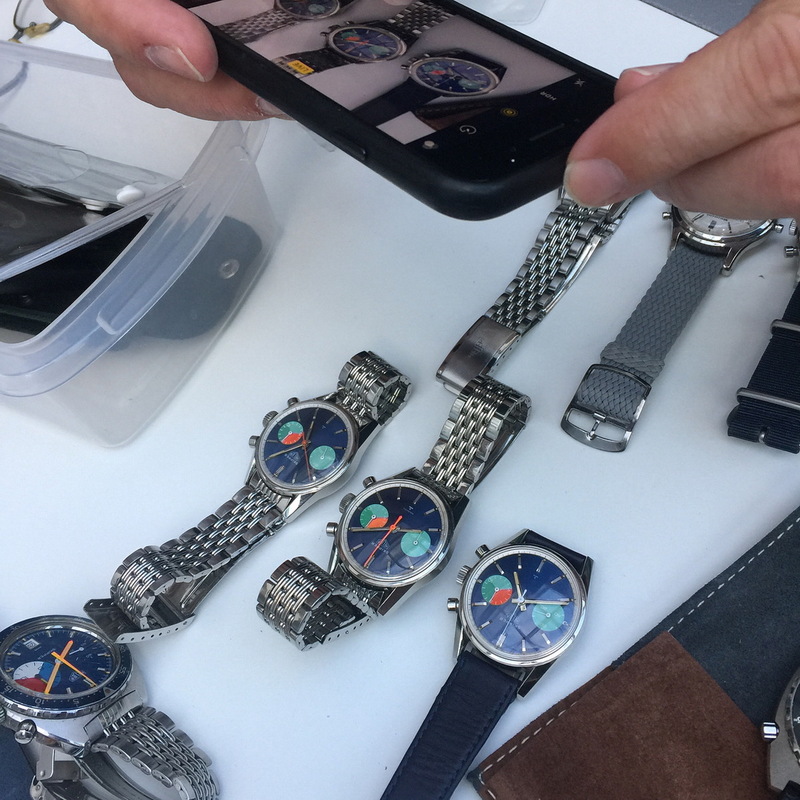 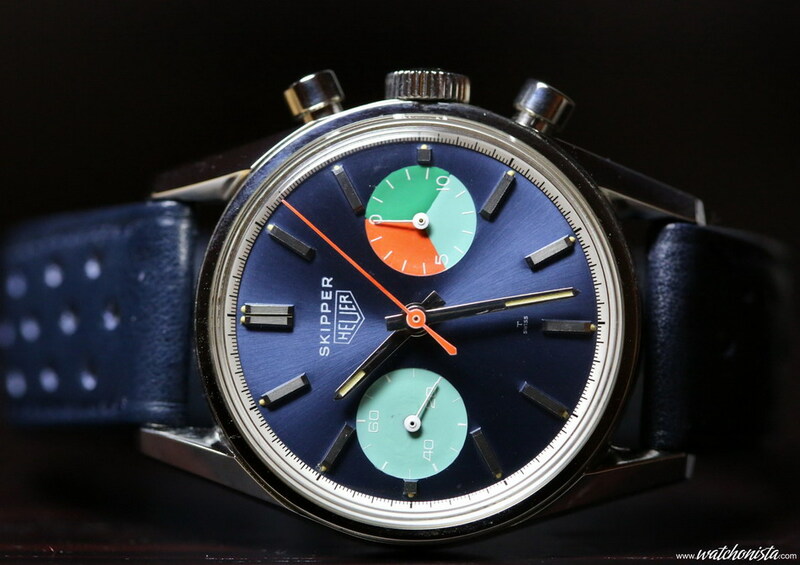 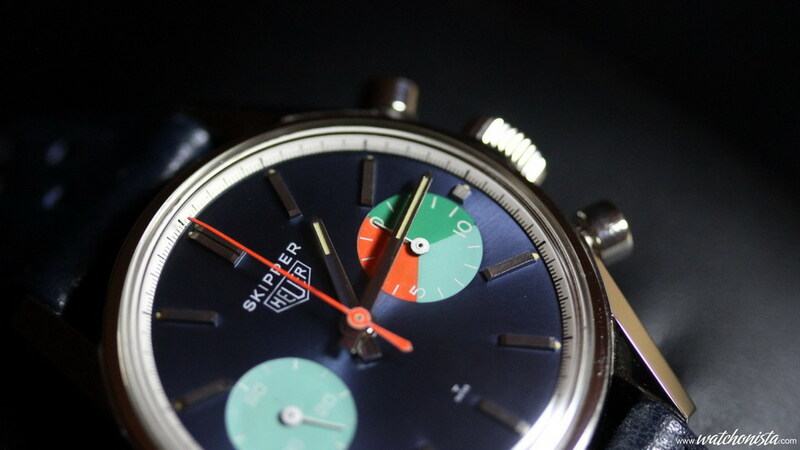 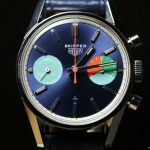 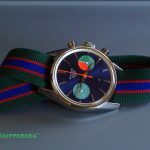 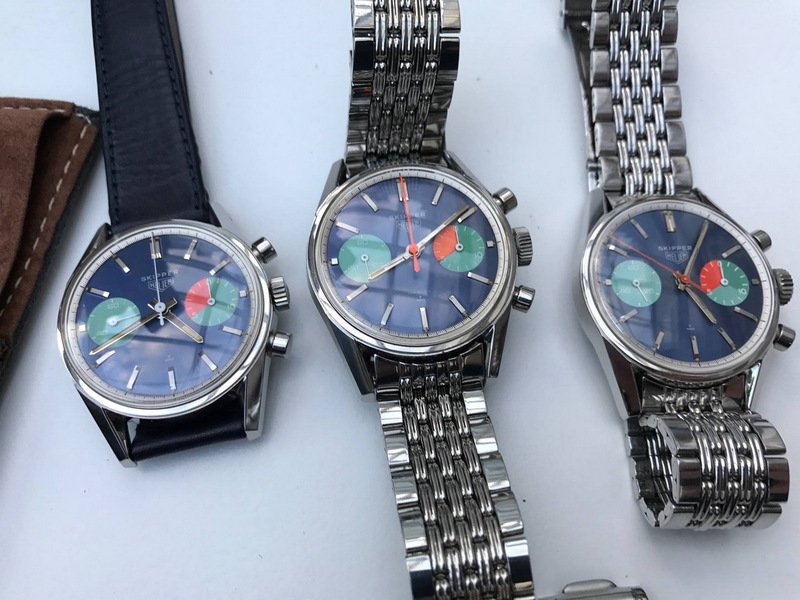 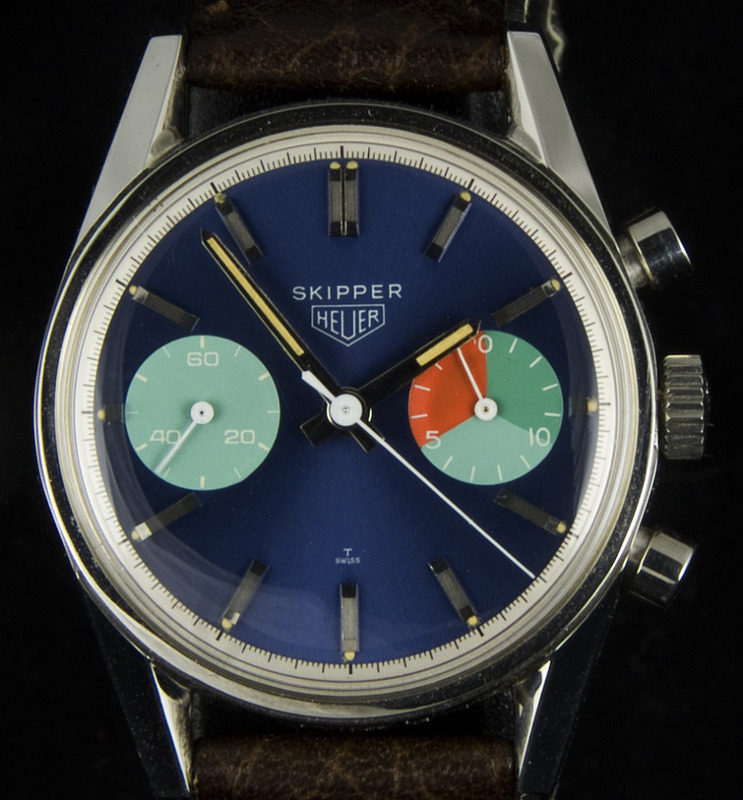 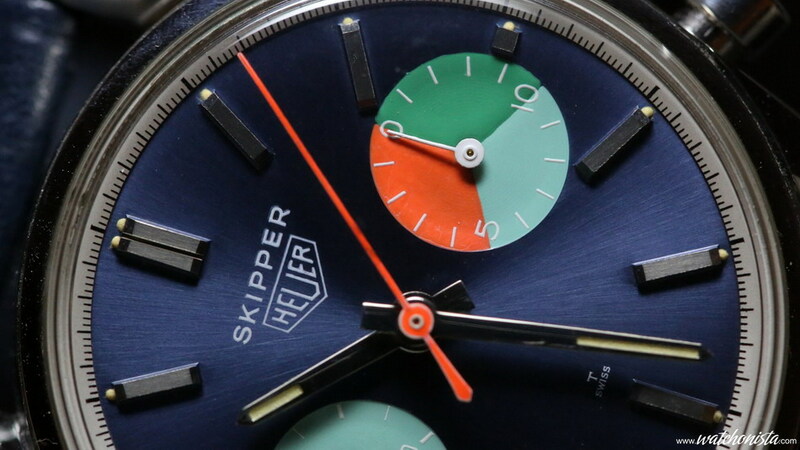 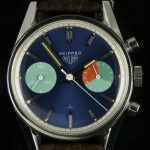 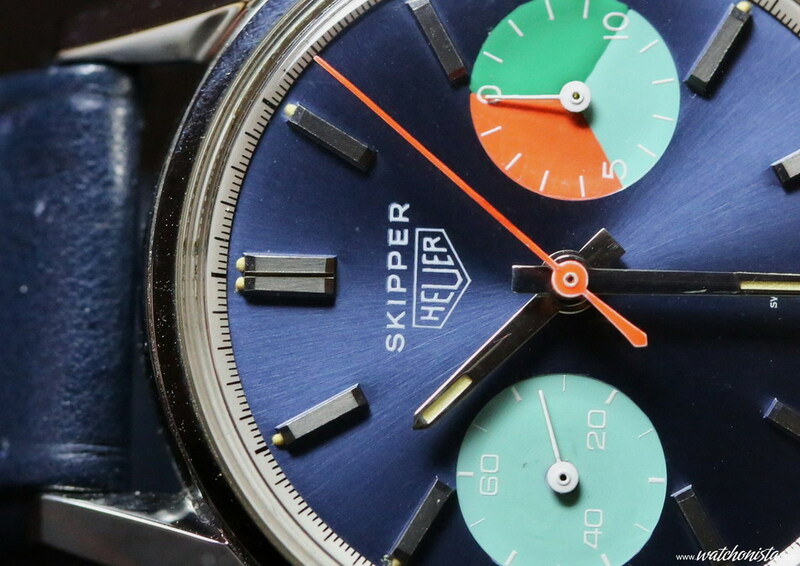 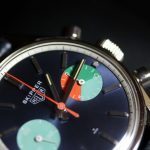 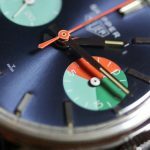 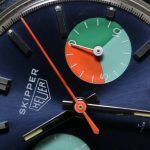 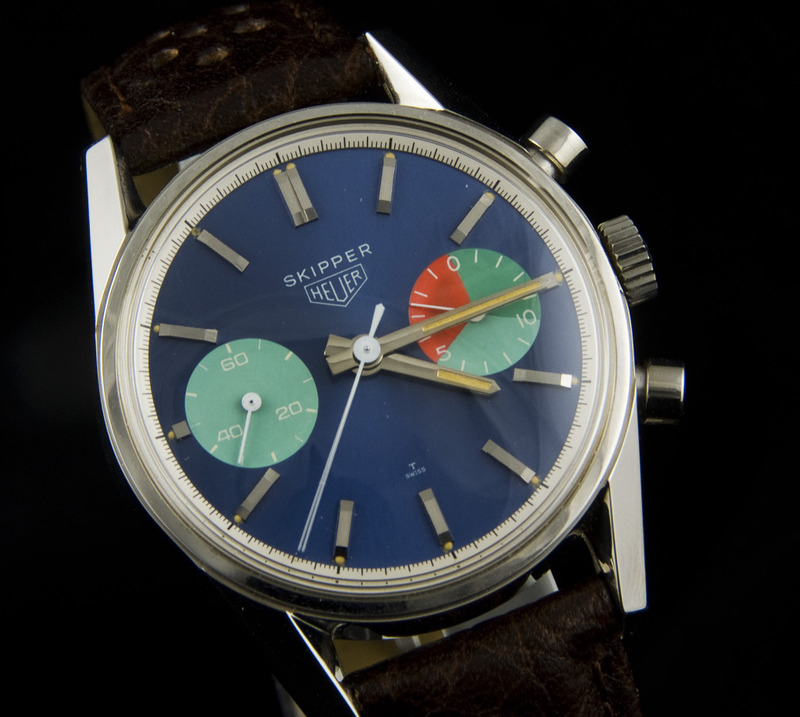 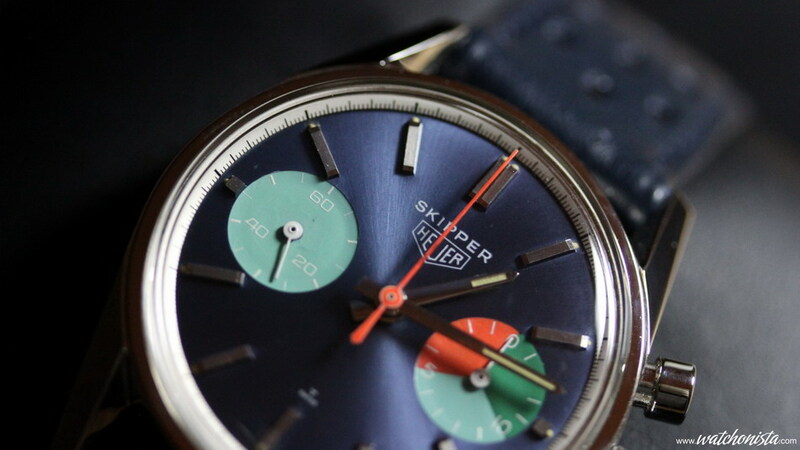 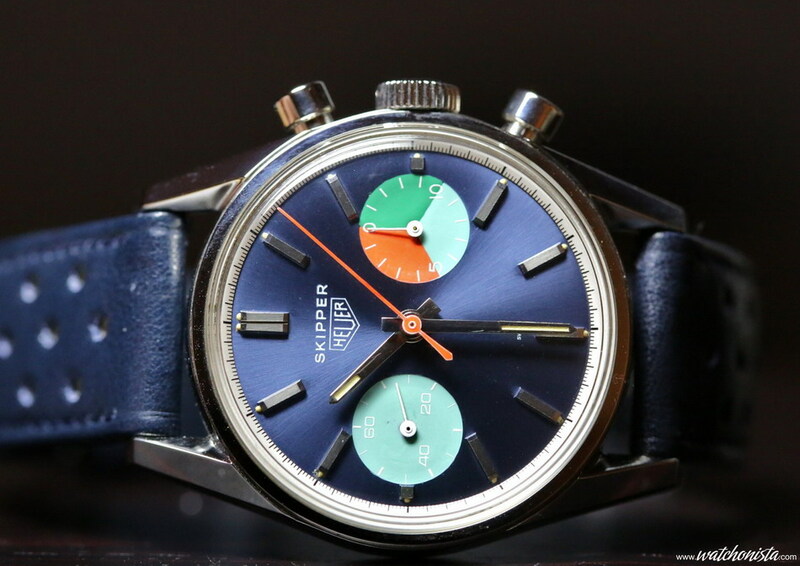 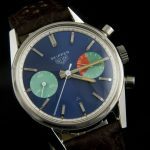 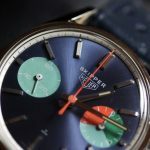 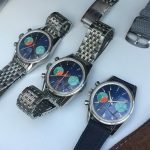 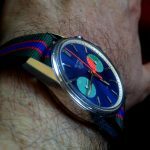 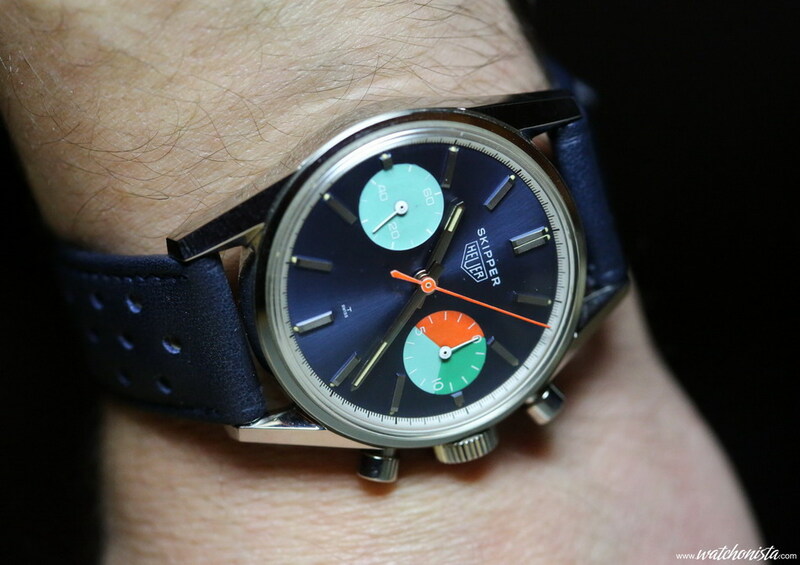 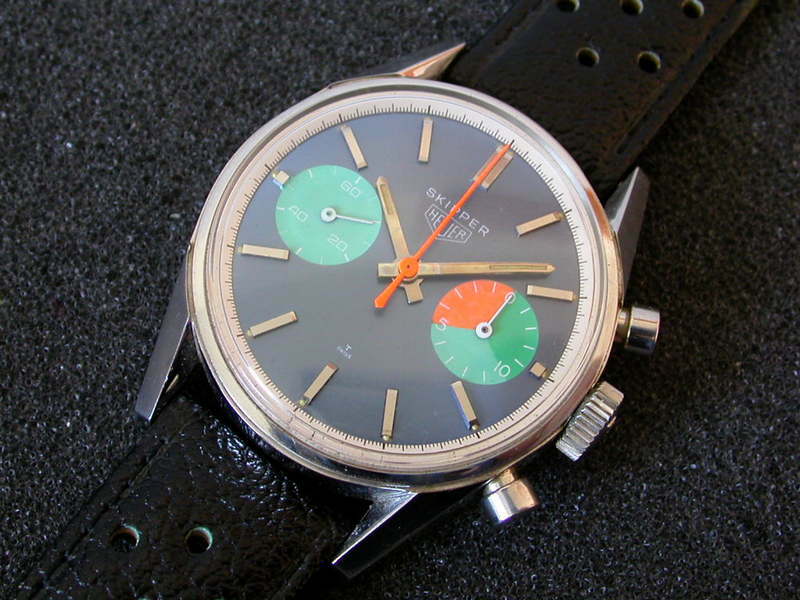 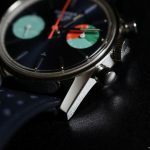 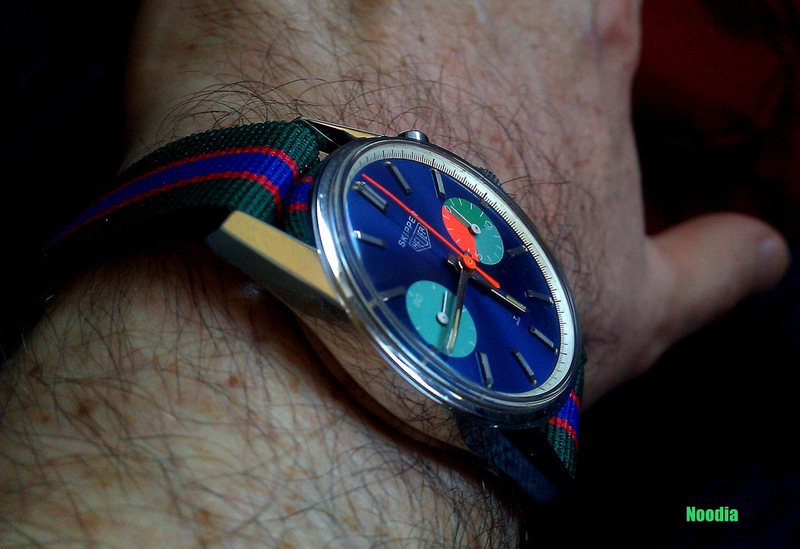 The Skipper Reference 7754 uses a Carrera case; has a blue dial; green, blue and orange segments on the minute recorder; polished steel hands; this is the only Skipper that does not have a rotating bezel. 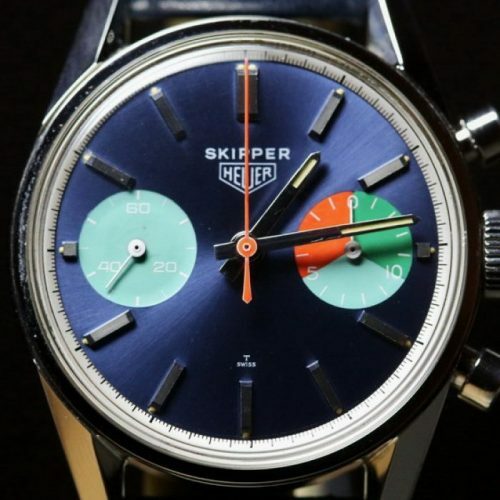 Known as the "Skipperrera". 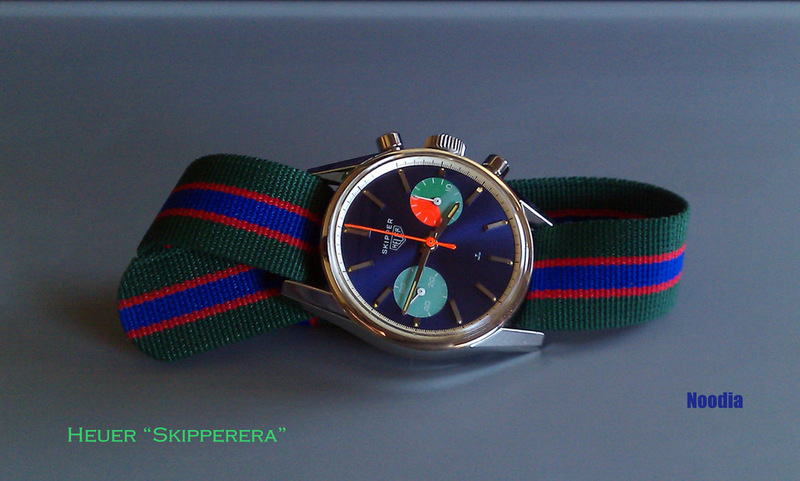 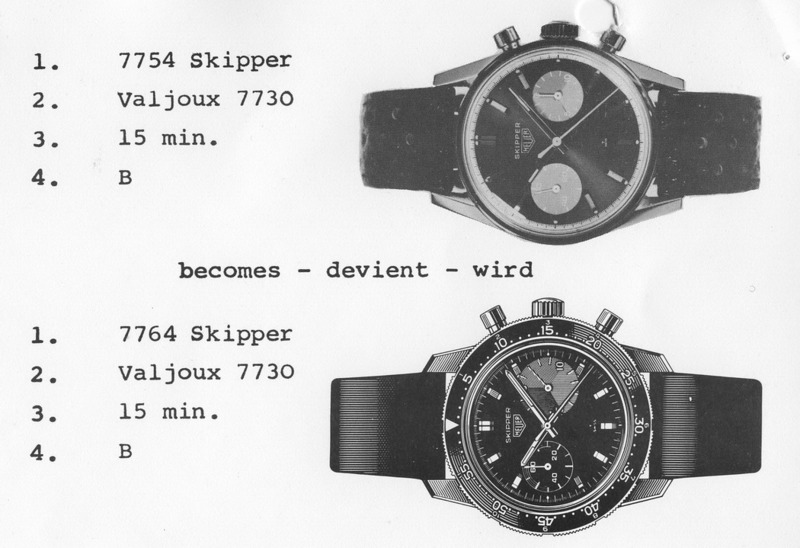 Called the “Skipperrera”, as it is the only Skipper in a Carrera case.